Arctic neutrinos from space; forest insect robots; terahertz vacuum tubes. Technische Universitaet Muenchen (TUM) has observed high-energy neutrinos stemming from outside the solar system, an event that could provide some clues about the universe. 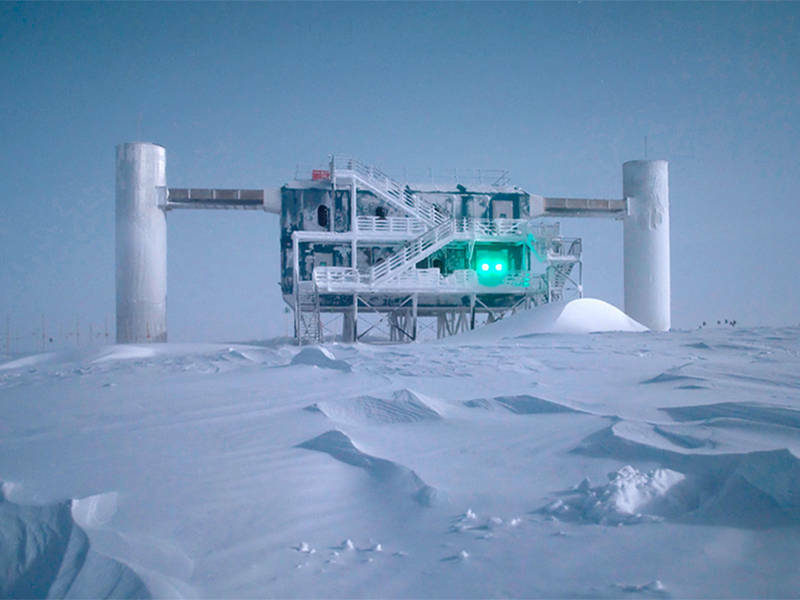 Researchers observed the sub-atomic particles at IceCube, a huge neutrino detector in Antarctica. TUM has observed 28 neutrinos that most likely came from cosmic objects. The IceCube observatory is run by an international consortium under the direction of the University of Wisconsin at Madison. Completed in 2010, IceCube is melted into the permafrost of the South Pole. At one cubic kilometer in size, it is the largest neutrino detector in the world. Some 86 vertical wire ropes with a total of 5,160 optical sensors were sunk 1450 to 2450 meters into the ice. A neutrino is an electrically neutral particle. Billions of neutrinos pass through the Earth’s surface each second. The majority of neutrinos decay within the sun or Earth’s atmosphere. Wake Forest University has developed two flying, insect-like robots. The robots will be launched over Peru’s tropical cloud forest in an effort to study the ecosystem. 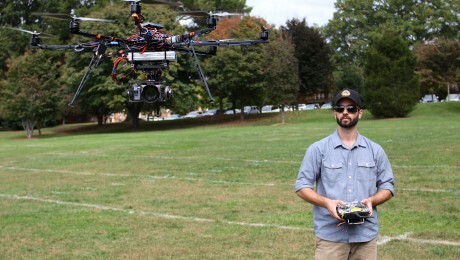 The first robot resembles a copter drone. Equipped with eight propellers, the robot is capable of flying at 15 mph for up to 20 minutes at a time. It can be equipped with a conventional visible light or thermal imaging camera. The second robot looks like a small airplane, which can fly up to 50 mph for more than an hour. Both robots will help study the Peruvian cloud forest, which grows on the slopes of the Andes Mountains. This remote spot is a difficult place to reach and researchers know little about the area. For years, researchers have been trying to develop terahertz-based devices. But device physics has prevented traditional solid-state electronics from operating at the terahertz scale. The sub-millimeter wave, or terahertz, falls between the frequencies of 0.3- and 3-terahertz. For some time, DARPA has been developing terahertz devices within its so-called Terahertz Electronics (THz) program. In a major breakthrough, DARPA has now demonstrated a 0.85 terahertz power amplifier using a micro-machined vacuum tube. 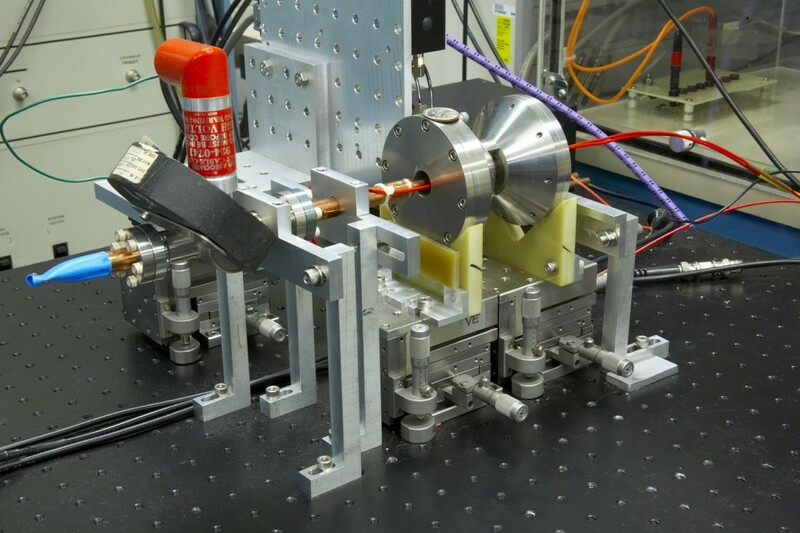 DARPA-funded researchers at Northrop Grumman Electronic Systems built the 1 centimeter-wide traveling wave vacuum tube. The world’s first terahertz-class traveling-wave tube amplifier. Northrop Grumman image. Geared for military applications, these devices could be used in communications, radar and spectroscopy imaging. These technologies could enable wireless networks exceeding 100-gigabits per second. Other applications include plans to insert the THz-class amplifier into a demonstration of DARPA’s Video Synthetic Aperture Radar (ViSAR). ViSAR seeks to build a sensor system for aerial platforms that peers through clouds to provide high-resolution, full-motion video for engaging moving ground targets in all weather conditions.